When I first got into the demand gen game fifteen years ago, we used a basic teleprospecting model: dial for leads, qualify anyone you were lucky enough to make contact with, and push the good fits to field sales. We’ve come a long way since the beginning of the millennium—inbound marketing, permission marketing, social media, etc.—but two recent conversations have me wondering if we’re close to completing the circle back to the year 2000 (I will happily grant that 2 data points does not a scientific survey make, but they did get me thinking). The first was a conversation with a former colleague—currently VP of sales for a software company—who told me he has been bombarded lately with calls from teleprospecting/ appointment setting firms looking to drum up new business. I’ve been a marketing executive for a while now, and I can’t remember the last time I received such a call. The second was a conversation with another marketer who told me that they are changing their demand gen model by placing a heavy emphasis teleprospecting targeting senior executives at enterprise-level companies. All well and good, but it was the second shoe dropping that really got my attention. Don’t believe me, read this from Business2Community, or call to mind your own experience. If the average buyer is 70% of the way through the buying process before they even engage with a vendor, what chance does any company have if they’re relying on a calling campaign to drum up new leads? Content marketing isn’t a silver bullet. Nothing is. But it’s also not a shiny object that’s run its course. 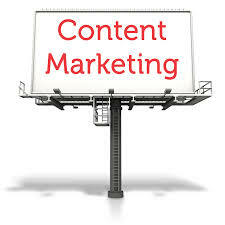 Content marketing is critical, especially in the upper funnel where you establish your brand. Without it, how will you take a prospect on the journey that lands them at your doorstep, reaching out when they’ve 70% mark. The simple truth is you won’t. And on the rare occasion when one of the telemarketers makes a connection and has a meaningful conversation with a decision-maker who’s in an evaluation cycle, they’ll find it nearly impossible to squeeze their way onto the dance floor unless they are in the very early stages. Simply put, without a content strategy to support it, teleprospecting is a waste of precious marketing budget. The evolution of content marketing changed that by tipping the balance toward inbound leads that were already well on their way to making a decision. Teleprospectors will have their share of conversations. By putting the right content in front of the right eyes at the right time, and the odds turning those conversations into leads will be much improved when teleprospecting makes a comeback.